Nait Babies Blog: Meeting my new friends. Mummy Louise took me to my new home and I met 3 lovely little boys - Rory, Matthew and Daniel James, who very kindly let me have a shot of his pushchair as I was very tired after all the travelling.. I have arrived in England Kent. Meeting another Nait mummy in Dublin, Ireland. My journey to Wroclaw, Poland. 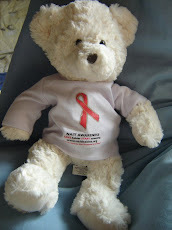 Nait Bear arrives in Donegal, Ireland.